Credit card debt isn’t the only factor affecting your credit score. Medical collections can lower your credit score by as much as 100 points and play a big part in determining your interest rate on a new loan. Unfortunately, paying off these collections rarely improves your score right away. To see a real improvement, you must take immediate action by removing medical collections from credit reports. You may already know every credit bureau has different criteria for scoring your credit, but did you know a single bureau may also have multiple scoring models? FICO itself has introduced over 60 different models since 2011, each offering different ratings for a consumer’s credit. Some of these models have become the standard for their industry, such as the FICO Auto Score, the FICO Bankcard Score, and the FICO Score 8 for mortgages. Your score can vary drastically depending on how each model measures specific variables, and one of those variables is any medical collections in your name. Receiving the medical care you need today is far more complex than it was 30 years ago. Deductibles, co-pays, and thousands of different insurance plans make it difficult to understand exactly who is paying for what. Because of this, thousands of Americans each year discover unpaid medical bills they never knew they had on their credit reports. Unlike credit card debt, unpaid medical bills are not immediately reported to credit bureaus. Instead, health care providers transfer accumulated debt directly to collection agencies. As a result, collections reported on your account, even if paid, can stay on your report for up to seven years. Although FICO has tried to correct this with their latest model, FICO Score 9, it has yet to be widely adopted. Under new regulation, the three largest credit reporting agencies – Experian, Equifax, and TransUnion — grant a 180-day waiting period before including medical debt on a person’s credit report. However, if you’ve exceeded this period or your past-due medical bills have already been posted to your credit report, you have a few options when trying to get medical collections expunged from your record. If you have paid off your medical debt, your first step should be to file an inquiry to dispute the collection. You can open a case with the three main credit bureaus online, over the phone, or by mail, and will need to provide documentation proving you’ve paid your medical debt. Within 30 days, the bureaus will investigate your dispute and determine whether or not to take it off your credit report. 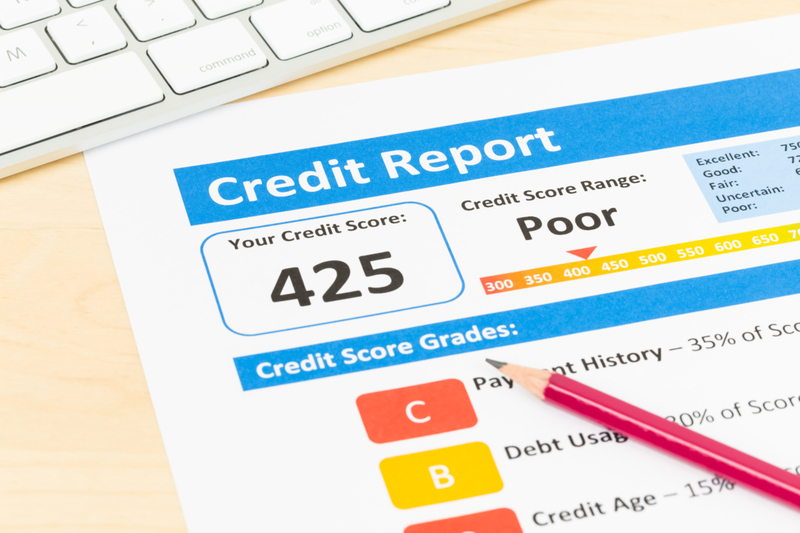 In some cases, you may hear directly from a collection agency before you discover medical debt on your credit report. If this happens and you have the means to pay off the debt right away, you can request the collection account be removed from your credit report through the collection agency. While there is no guarantee the collection agency will agree to do this, this simple request could save you the trouble of disputing your claim with the credit bureaus later. If your debt is still unpaid, you can also contact your medical provider and ask if they are willing to take your collection back from the collection agencies. By doing this, you will be able to pay your debt back to your medical provider directly without any notation on your credit report. In certain situations, such as debt marked delinquent without you seeing a single bill, the CFPB can look into your case to determine if your dispute is valid. Not only can they erase the collection from your credit report, but in extreme cases of agency misconduct, they can even erase your debt completely. Medical collections can affect your credit score for a long time, but, as a consumer, you have options and rights to protect you and your credit. Under both the Fair Debt Collection Practices Act and the Fair Credit Reporting Act, you have the right to ask the collection agency to validate your debt, and to dispute it should you find their proof lacking.